For many there just aren’t enough words to describe the importance of an attractive smile. A smile can communicate warmth, kindness, confidence, and sincerity. It is, in many ways, the physical manifestation of an individual’s personality. Not only does your smile influence how others see you, but it can strongly influence how you see yourself. If your smile isn’t everything you want it to be, cosmetic dentistry, restorative dentistry or some combination of the two can help. Whatever goals you have for your smile, chances are that there are cosmetic and restorative dentistry treatments available that will allow you to meet those goals. Are your teeth discolored, chipped, or separated by noticeable gaps? Porcelain Overlays/Veneers and dental crowns can conceal aesthetically damaged teeth and restore beauty and health to a smile. Are your teeth misaligned, but you don’t want to undergo treatment with metal braces? You can achieve the same results as traditional braces in the same amount of time using clear, comfortable, virtually undetectable Invisalign® aligners. Are your teeth so damaged that you’re afraid to smile in public? 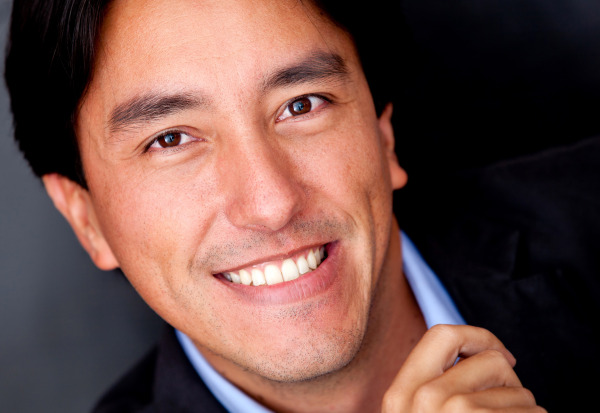 Dr. Edward Barragan, a dentist serving Yorba Linda, Anaheim Hills and Brea neighborhoods, can devise a smile design or full mouth restoration plan that will allow you to dramatically transform your smile in just a few office visits. Even people who are missing most or all of their original teeth can have a natural-looking, healthy smile thanks to dental implants. The immediate benefits of cosmetic and restorative dentistry include a healthier mouth, a well-aligned bite, and a more aesthetically pleasing smile. The long-term benefits, however, will reveal themselves as you find your self-image improving. Many patients who improve their smiles through cosmetic and restorative dentistry find that their social and professional lives become more active and fulfilling. Some find their general mood and outlook on the world become far more positive, making them friendlier and more approachable to others.